The distinctive lead crystal 230ml Claudia goblet with a facet ball in the stem is great value and would make an ideal presentation gift. 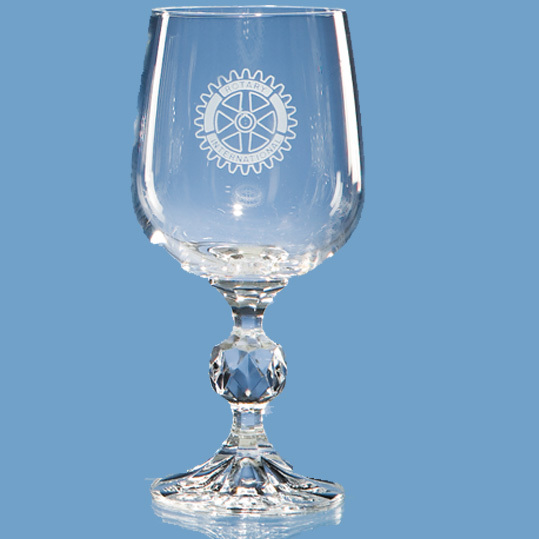 The goblet can not only be sandblast engraved but also decorated with an etch effect, colour or silver print. Options available include single or double satin lined presentation boxes.